Snowmass is one of America’s top ski destinations based in the breathtaking Colorado mountains. 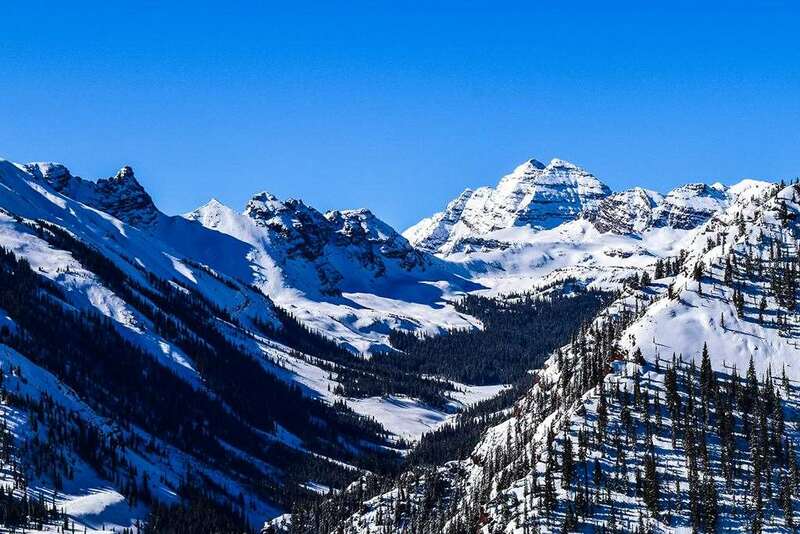 It is based close to neighbouring Aspen and has been popular with wintersports enthusiasts since 1967. It is the largest of the four mountains and is comprised of 3,128 acres, offering plenty of picturesque runs for skiers to enjoy. With a wide variety of runs for skiers to enjoy, visitors can spend hours exploring the diverse terrain on offer in Snowmass. It is easy for people to spend a full day on the hills without covering the same area twice. The incredible customer service and hospitality at the resort makes it a popular choice for families, couples and individuals looking for a relaxing stay in one of the world’s most tranquil landscapes. The ski season here runs from December to April and the weather here is absolutely ideal for wintersports with stunning panoramic views. Some 3,332 acres of skiable terrain is available at Snowmass, with the tallest vertical rise standing at 4,406ft.There is 150 miles of trails and the longest run is 5.3 miles, with a range of runs from easy to expert. There are a host of different ski schools to choose from for skiers of different abilities, ranging from solo beginner’s courses to adults-only group lessons. As well as this, teaching available for disabled skiers through the Aspen Snowmass adaptive program. One of the top restaurants in Snowmass is the beautiful Ajax Tavern, where visitors can enjoy delicious delicacies like truffle fries and sample some of the locally brewed draft beer. The Cloud Nine Alpine Bistro is another great option for holidaymakers, providing extraordinary views of Maroon Bells and some of the best drinks in the whole resort. Skiers and snowboarders can take part in powder tours to explore the beautiful scenery, while tubing is also available among many other fun activities. Aspen Snowmass Airport is the closest to the resort at just six miles away, providing excellent accessibility for travellers.